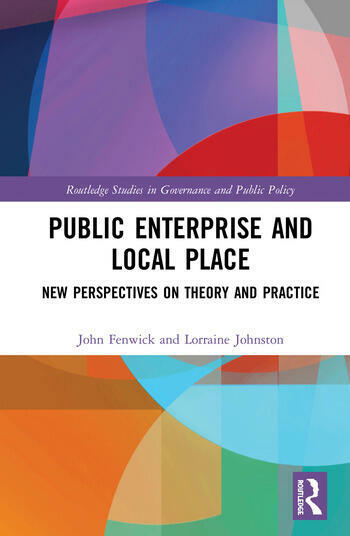 This book presents the key interactions in local government and public enterprise, drawing together the challenges for local governance in the practice of public entrepreneurship and its response to collaboration, place and place making. Specifically, this book includes the impact of local partnerships and public entrepreneurs in local policy implementation. It is written by established authors bringing together their experience and practice of local partnerships and public entrepreneurship in place-based strategies, and will be of value to local government, new forms of enterprise partnerships, wider agencies and public entrepreneurship scholars as well as policymakers responsible for implementation of place-based regeneration. This text will be of key interest to students, scholars and practitioners in public administration, business administration, local government, entrepreneurship, public sector management and more broadly to those with interests in public policy, business and management, political science, economics, urban studies and geography. 6. The Enterprising Local State? John Fenwick is Professor Emeritus of Public Management at the Newcastle Business School, Northumbria University, UK. Lorraine Johnston is Senior Lecturer of Public Leadership and Enterprise at the Newcastle Business School, Northumbria University, UK.